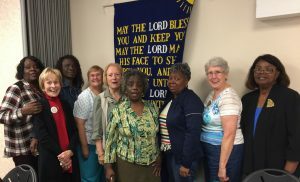 The BUMW is excited to have three members as officers of the Walterboro District UMW; Walda Letson – Communications, Sarah Sweers – Social Action, and Elizabeth Duncan- Historian. The three officers attended training in Columbia on November 10, 2018. Congratulations ladies!